Hi Poland! I noticed some first time followers from Poland. Thank you for following my blogs.We don’t want any negative thing to ruin our day right? With a little bit rain, and clouds we should still be on happy mode. Spread love. Love is the greatest thing we can give. It is powerful. Instead of spreading negative things, turn it to positive. Spread love and everything follows. 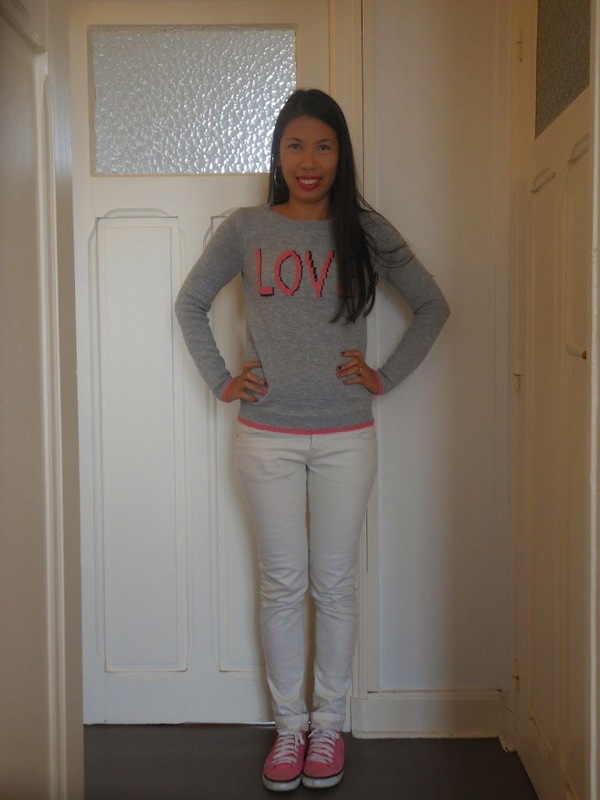 My outfit today is full of love and its purity. 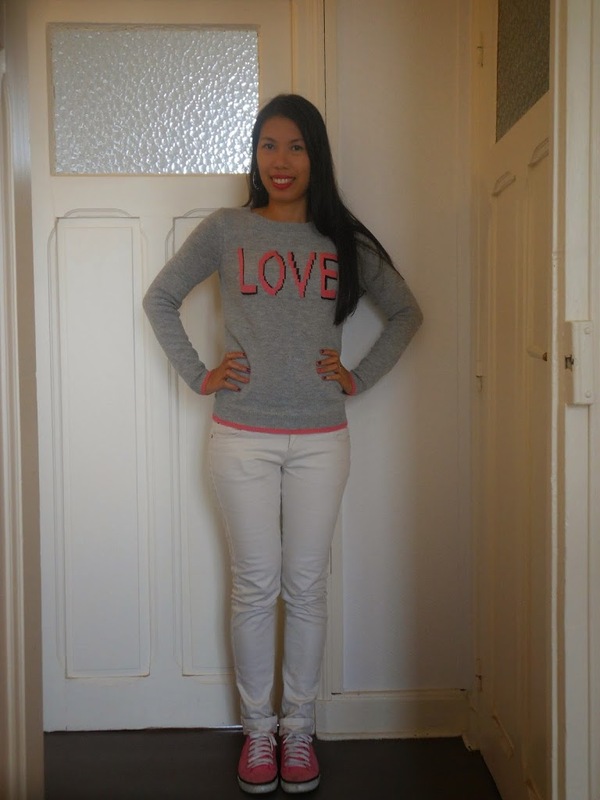 I combined the white pants with the love written on my top. 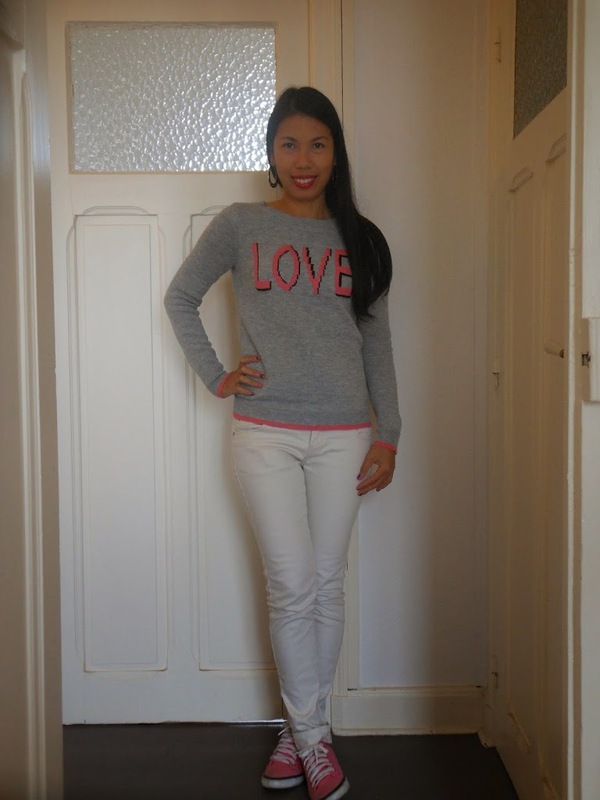 My top is from Miu Miu, pants from JENNIFER and my shoes from Le Coq sportif. How’s your week going on? Write me at analyn@milallos.com. Have a fabulous, positive and full of love days ahead.